Every year, as part of our commitment to giving back, Bramble Berry donates 5% of our profits to local non-profit organizations. Last year we decided we wanted to bring you, our Soap Queen readers and customers, into the mix and donate to the causes YOU felt passionate about. 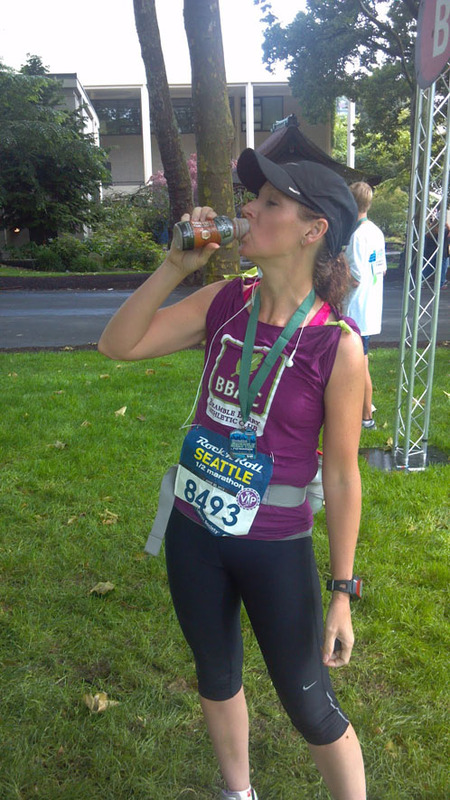 We sponsored 11 athletes for our first-ever Bramble Berry Athletic Club! The BBAC members all ran races in the name of their favorite charity and Bramble Berry generously donated to the event (plus, there were cool BBAC shirts just for our “pro” team). If you missed out on it last year, now’s your chance to get in on the giving! Apply for Bramble Berry Athletic Club 2013 TODAY! Check out this post for the details on becoming part of the team (and today is the last day to get your application in). Need some inspiration? 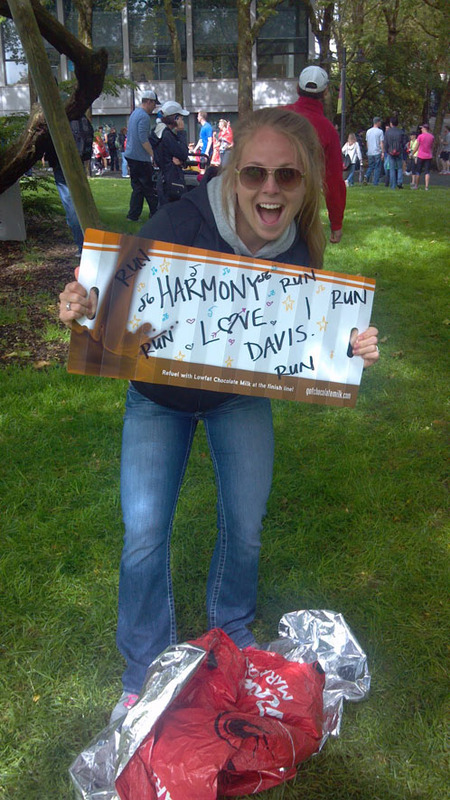 Harmony Davis was a sponsored Bramble Berry athlete in 2012. Read on to hear about her charity and event. Tell us a little more about your charity and why you chose it? I chose Ulman Cancer Fund because they are an organization that provides support to young adults facing cancer. When my husband was unexpectedly diagnosed last October I wasn’t sure what to do. We were scared, heartbroken and lost. A friend in the blogging community suggested I contact Ulman. From there grew a personal relationship of outreach, encouragement and support. They were very helpful connecting my husband up with support and helping me as a wife to take some type of active role in what a time when you feel so helpless. I joined Ulman Cancer Fund and Revolution Three (a triathlon organization) on a Run Across America. In July of last year I participated in my very first Triathlon for Team Fight. Being active has made a huge difference. We are standing up to cancer and not taking this lying down! Ulman serves a unique group of young adults that may be just entering college or new mom’s and dads with young children. 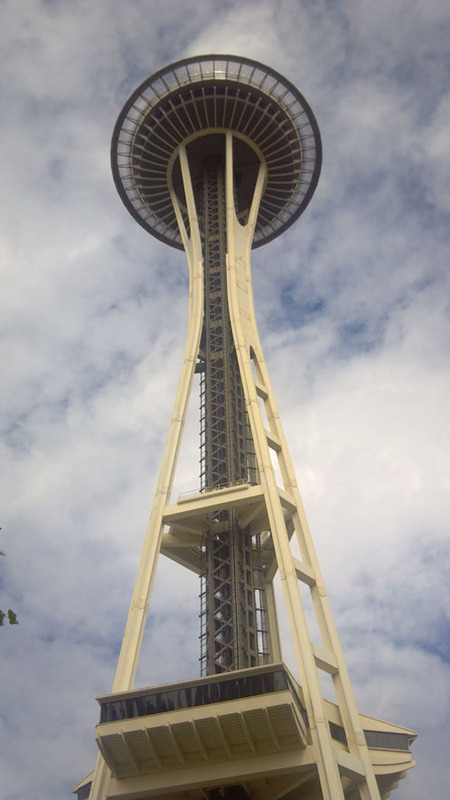 I was also able to run Rock N Roll Seattle half marathon which supports the American Cancer Society so I felt like I was connected with the people who were fighting and searching for a cure for loved ones like mine. Bramble Berry really helped and encouraged me during a tough time. My “training” fell during grad summer school and working part time. So training typically consisted of one 2 to 5 mile run during the week and then if I was lucky one long run on the weekend ranging from 10 to 12 miles. I love Rock N Roll Seattle marathon, but I was not a huge fan of the new course, the hills were a bit much for me at times. The course was beautiful, but the two hills back-to-back seemed almost too difficult to finish at one point. I did walk a few times between miles 10-12 but I was definitely okay with that. I went out really fast and it came back to bite me once I hit the hills. However I am sure if I had trained better I would have enjoyed it a bit more. How did you get involved in soaping? I am not actually a soapmaker but I am fortunate to be a friend of a blogger who is a soapmaker and that is how I learned about the BBAC. I am still so impressed with the generosity of Bramble Berry to do this for everyone. 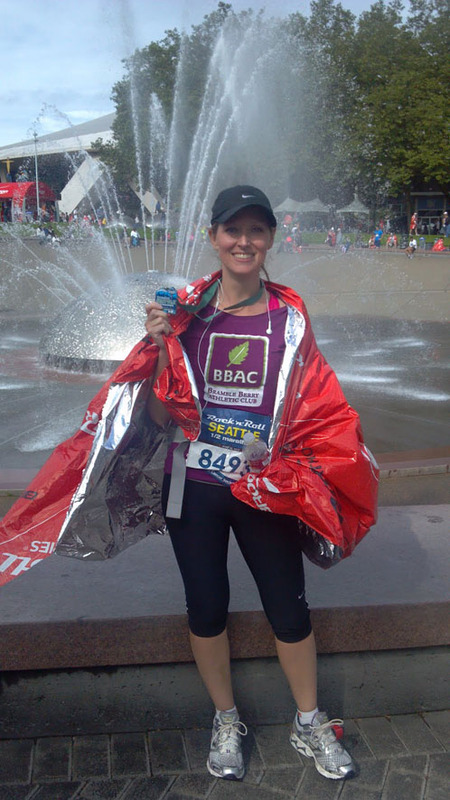 I would love to be part of BBAC in the future as well as share more of the soap making world within my blogging world of running and fitness. My favorite product would have to be Sore Muscle Blend. My foot is always a source of pain and just the smell of the Lavender and Peppermint always seems to help. I also love my Gardening Cold Process Soap that Bramble Berry sent me, what a treat! What an inspiring story. Thanks so much for being a part of BBAC 2012, Harmony!